You may have noticed in my nifty new header up there, I have some photos of recipes I have not yet shared with you. That was cruel of me, I know. I sincerely apologize. I decided, I'll ease some of your suffering today by sharing these LIFE-CHANGING rolls. They are amazing! A super duper favorite of Michael's and mine. 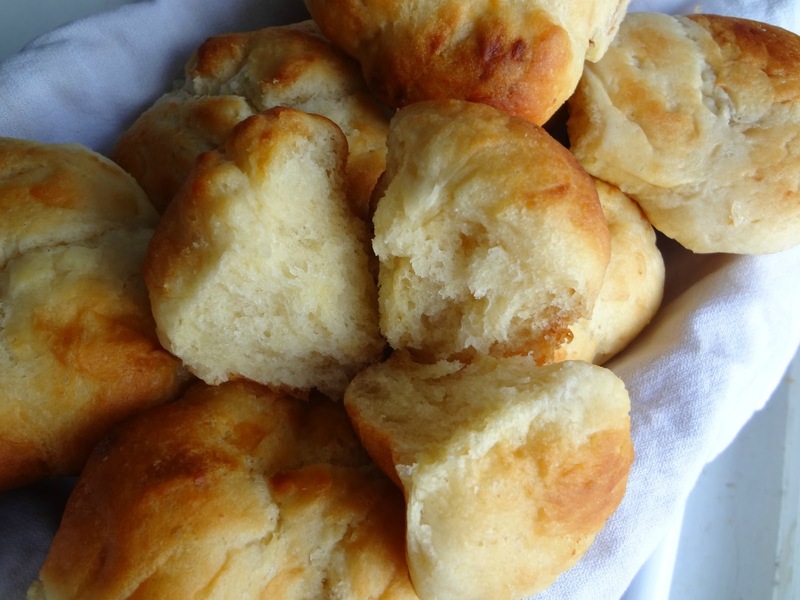 Lightly, fluffy, buttery, delicious rolls-and they are surprisingly easy to make! 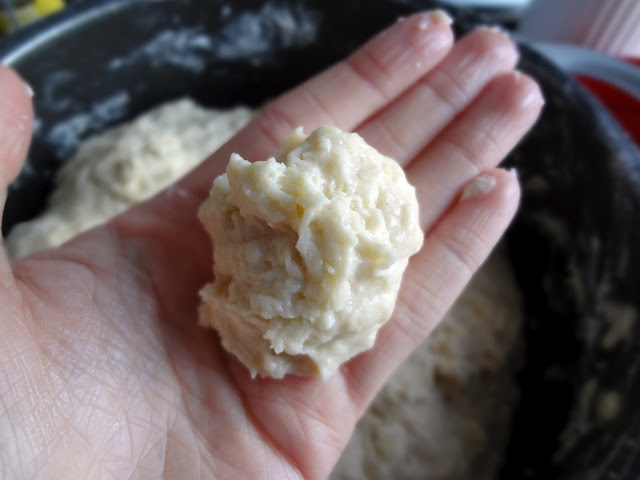 They require no kneading, and if you (like me) are a newbie with yeast/making breads/rolls this is a great recipe to start with! Trust me when I tell you, though, that the taste leaves absolutely nothing to be desired--some of the best rolls I've ever eaten. Ever. Definitely the best ones I have made. 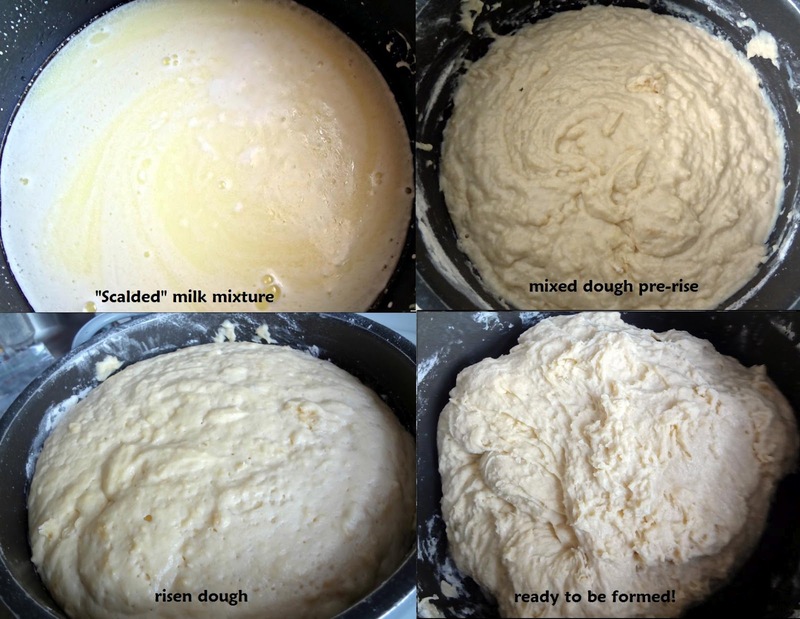 "Scald" the mixture on medium/medium-low heat (to scald means to heat it until just before the point where it boils). Just before it boils, turn off the heat and WAIT. Let the milk mixture cool until it is comfortably warm (so it's hospitable for yeast). I don't use (and neither does The Pioneer Woman) a thermometer (if you do it should be between 90 and 110 degrees), a good way to judge is to feel the side of the pan. When the side of the pan feels just warm, not hot, it is ready. You'll probably need to wait about 30 minutes for this. Once cooled to warm, add 4 cups flour and the 2 packages of yeast to the milk mixture. Gently incorporate them, then add an additional 4 cups of flour. Stir, cover lightly (i.e. with a towel), and rest in a warm place for 1 hour. It should double in size. If the room is not warm enough, I like to heat the oven slightly, turn it off, make sure it's not too hot in there, and let the dough rest in the warm oven. Once the dough has risen, add the final 1 cup flour and the baking powder, baking soda, and salt. Stir (or knead with hands if it is easier, but it's not necessary) until combined. Form rolls by pinching off a walnut-sized piece of dough, roll into a ball, and repeat-tucking 3 balls of dough into each buttered muffin cup. Before rising, and after rising. Fill tin(s) (I only have one muffin tin so I had to make these in two batches, and then had a little dough leftover...hence those mini tins below). Cover loosely and let rise in a warm place for 1-2 hours (same principal for keeping in a warm place while rising applies here). Once again, they should double in size. cute little guys, aren't they? 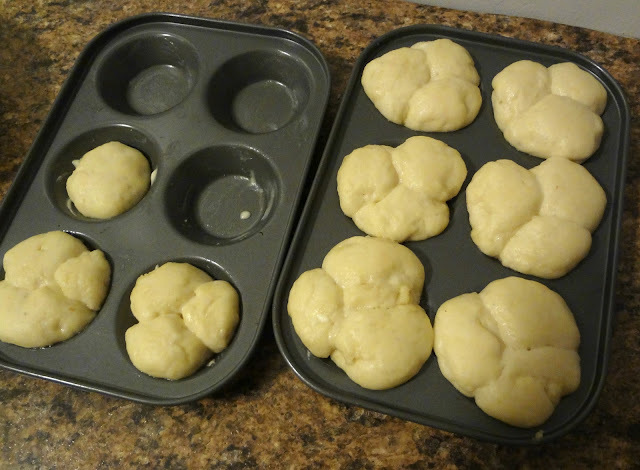 Once risen, you can brush the rolls with melted butter or egg whites and/or put seeds on top. (I like to brush them with a little melted butter.) If you want, you can also just put some butter on them after they're baked. Bake in an oven, preheated to 400 degrees, until golden brown: about 12-20 minutes (mine were done in about 13 minutes). Oh, that last picture is just making me crave these! 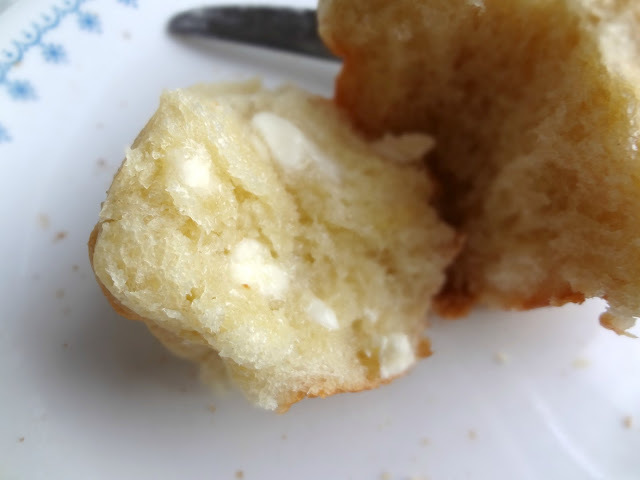 Fluffy toasty rolls without all the kneading-just easy enough to make me want to double the recipe. Delicious post! I haven't tried them yet and they've already changed my life. No kneading! I'm in. They sure do look amazing. You now be my best friend. Just because of these rolls. That is all. holy cow these look delish :) can't wait to try these out! Those look ridiculously good--so tender! OMG. I trust you. Those look AMAZING! I could seriously live off of bread (actually carbs... all carbs! 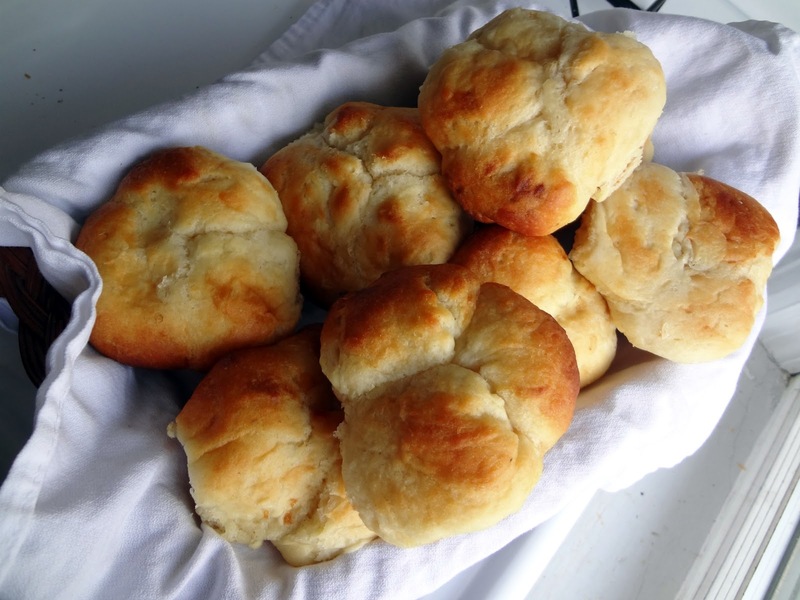 ), but especially warm buttery homemade dinner rolls! Yummm! I love watching the bread get bigger over time. No kneading?!? I'm in! I'm pinning this right now...can't wait to try them out! Love this! When it comes to rolls, the easier the better. These look so soft and simple! Oh that last picture is making me drool. I would love to give these buttery rolls a try. Yep - these look perfect for Thanksgiving!!! Thanks!